ACM International Collegiate Programming Contest közép-európai regionális döntője. A nemzetközi versenyt három egymást követő évben (2004, 2005, 2006) Magyarországon rendezték meg. 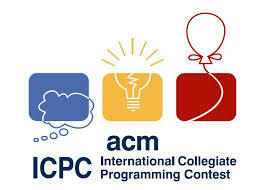 The ACM International Collegiate Programming Contest (ICPC) is the premiere global programming competition conducted by and for the world ‘s universities. For nearly four decades, ICPC has grown to be a global competitive educational program that has raised aspirations and performance of generations of the world’s problem solvers in computer sciences and engineering.